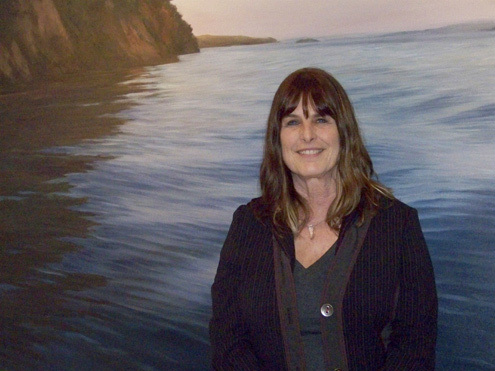 Artist Sue Gonzalez of Point Reyes Station stands at one end of a large oil painting of hers. The painting is part of a new art exhibition that opened Saturday at the Bolinas Museum. Sue’s subjects are inevitably large expanses of water. Although most painters would be challenged to make the unbroken surface of a tranquil bay interesting, Sue is such a master of light and shadow she is able to reveal the subtleties of seemingly simple scenes. Sue attended the University of Wisconsin and graduated from the San Francisco Art Institute. She also took classes at Sonoma State and Indian Valley College. 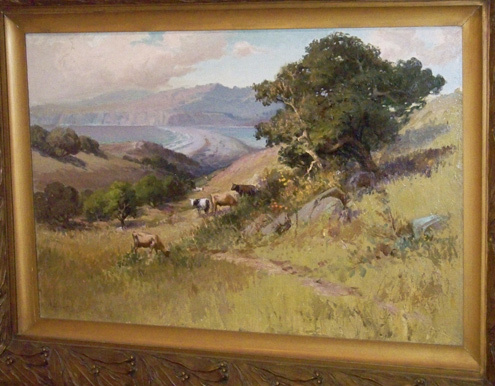 Stinson Beach and Bolinas Lagoon (circa 1902) by Arthur William Best. 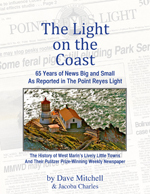 Also on display through April 17 at Bolinas Museum is a selection of art from the museum’s permanent collection. 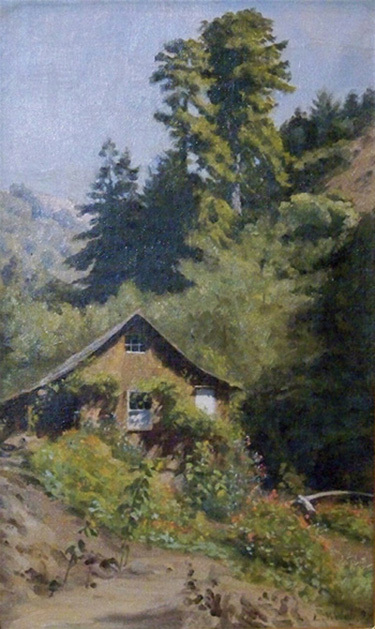 View of Mountain Cottage by Ludmilla Welch, 1890. From the permanent collection. The Dreamers. Photo by Kevin Brooks from the permanent collection. Classic Torso with Hands by Ruth Bernhard. 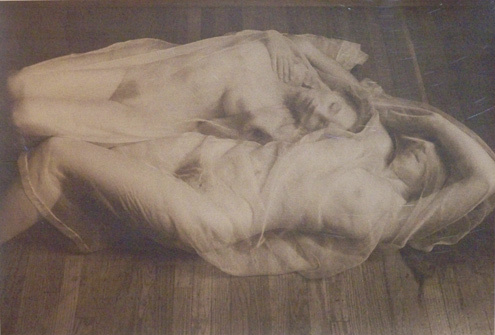 The photographer (1905-2006) is best known for her nudes of women. “If I have chosen the female form in particular, it is because beauty has been debased and exploited in our sensual twentieth century,” she wrote. “We seem to have a need to turn innocent nature into evil ugliness by the twist of a mind. Krishna and Radha by Gajari Devi. 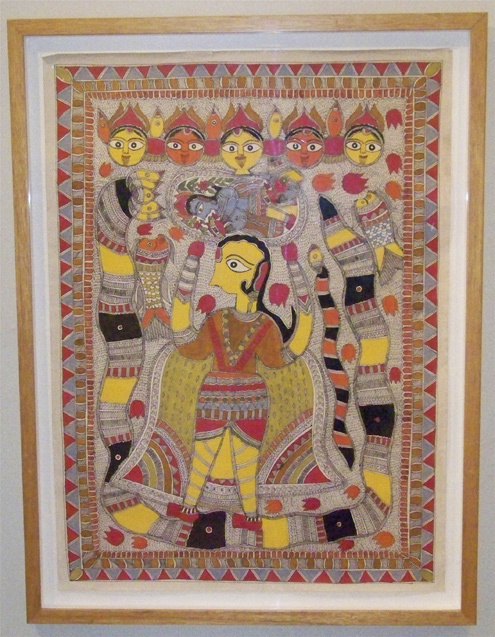 Also showing at Bolinas Museum is an exhibit titled Sacred Walls, Dieties and Marriages in Mithila Painting. “For centuries, perhaps for thousands of years, women in the ancient cultural region of Mithila in Eastern India, have been painting on their floors and the inner and outer walls of their family compounds,” the museum explains. “With vibrant color and complex design, their art celebrates, protects and makes sacred or auspicious space in their homes for family rituals and events. 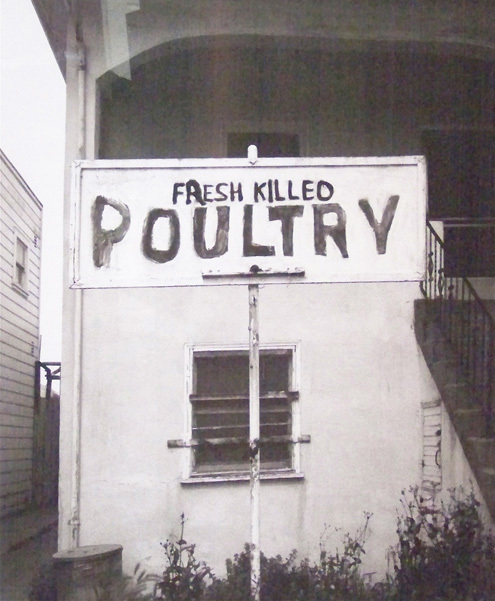 Though there are a few male contemporary painters, this is primarily an art tradition handed down through women from generation to generation…..
Fresh Killed Poultry by Lewis Watts. Part of the permanent collection. 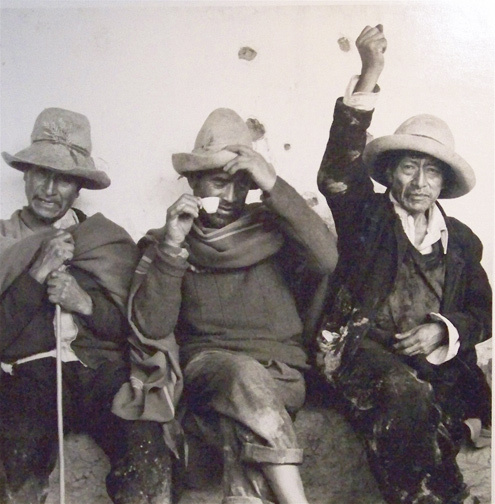 Salud Compadre, Peru. By Steven Brock. The photography in the current exhibition is from the Helene Sturdivant Mayne Photography Gallery, which is part of the museum’s permanent collection. Bolinas Museum may be small, but it represents some of the best art in the world, as the current exhibition attests. It will continue through April 17, so you still have plenty of time. I enjoyed very very much looking at the paintings of Sue Gonzalez. Also, look forward to the suggested websites, especially the photography of Marty Knapp. Sparsely Sage and Timely is powered by	WordPress 4.9.10 and delivered to you in 0.535 seconds using 56 queries.